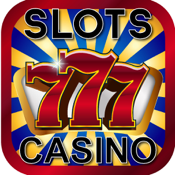 Do you love Slots? How about Las Vegas? If yes, then this game is absolutely for you! Experience the fun and excitement of Las Vegas Slots without leaving your seat! 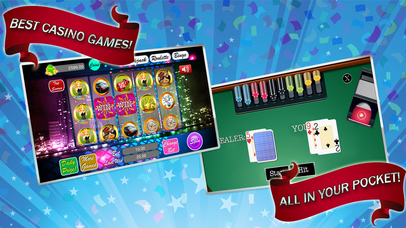 Play slots with beautifully designed graphics optimised for your iPhone, iPod touch and iPad! 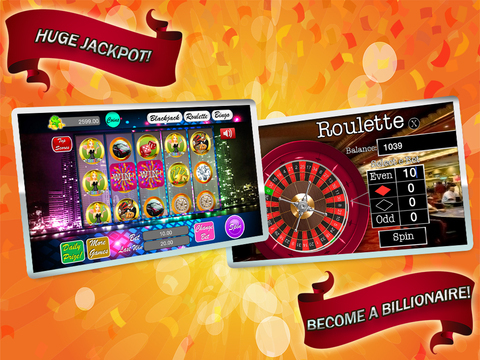 Practice, level up and unlock other deluxe casino games : Bingo, Roulette and Blackjack for unlimited entertainment! If you aim for more challenge, compete with top gamblers in our Game Centre WORLDWIDE Leaderboard! All these in one App for FREE! What are you waiting for? *** Very EASY to play, Start winning in seconds! 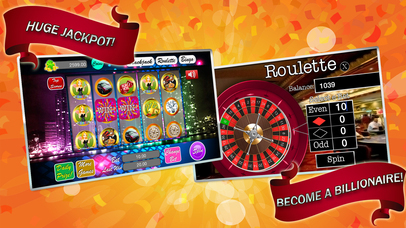 *** Prize Wheel, Daily Bonus and lots of way to get more coins to WIN BIG JACKPOT! *** LEVEL UP to unlock MORE! 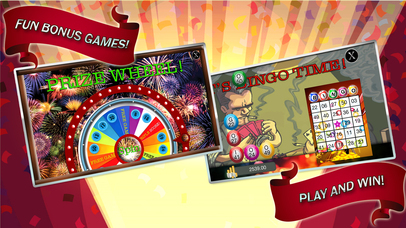 *** Play Bingo and Blackjack as if you were at the casino! *** Beautifully designed and intuitive Roulette! *** Beautifully designed POPULAR LAS VEGAS themes!